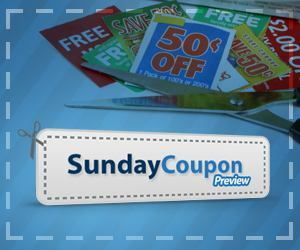 It's the end of the month, so be sure you print any coupons you want over at Coupons.com, RedPlum.com, and Smartsource.com! New coupons have already started to show up, and many will reset tomorrow as well! Here's a deal at over at CityDeals, a Daily Deals site I've not posted about before. Get a $20 IHOP gift card for only $16 + it ships to you FREE when you use code Slcshipping. Eversave has a $30 Voucher to ShoesGotSole for only $15 + FREE Shipping! If anyone in the family needs shoes, this is a GREAT way to get a deal! They carry something for everyone. Groupon has a really unique deal today from Dormzy. Get $50 worth of groceries, toiletries and household items shipped to you for $25! Now, there are lots of snacks and candy available, but there are also useful items like laundry detergent and healthy food items! Just head over to Groupon and sign in or register and choose Lexington, KY. Since this is an online deal, anyone can purchase and use it! Deal Idea: Spend $50 on Olay, Secret, Venus, Cover Girl, Pantene, Herbal Essences or Clairol products using the $25 Groupon credit at Dormzy, and submit your receipt for the $20 rebate $20 Proctor and Gamble Rebate for a net total of about $5 for $50 worth of Proctor and Gamble products after the rebate! Zulily Deals Today: Delivered for Christmas! In the Random House Event: look for books as low as $4.49! Shipping starts at $6.95, so only around $1.50 shipped after the $10 credit! In the Mud Pie Event: look for adorable baby items from $4.99, so only $1.99 shipped after the credit! In the Too Cute Event: look for adorable little girls hair clips and headbands from $4.99, only $1.99 shipped after the credit! In the Puma and Sketchers Events: look for sets of girls socks starting at $5.99, only $2.99 shipped after the credit! Grocery University Cyber Monday Sale Entended! Remember the sale I told you about yesterday on Grocery University? The sale has been extended through tonight at 10 PM Central! Originally $24.95, Grocery University is on sale for $9! This is the kind of info I've tried to compile with my "Couponing 101" posts, but I haven't published this much let alone compliled all the info in one place. Head over to Grocery University to get details and purchase for only $9! Fargo Moorhead Cash Wise locations double coupons everyday up to $1! Coupons less than .50 double their face value automatically. Coupons with a face value from .50-.99 double to be worth $1, and coupons with a face value higher than $1 are accepted at face value. If you have any $2 printable Quaker Instant Oatmeal coupons (no longer available), get it for only $0.04 when you stack with the Cash Wise coupon! Final price: as low as $3 each! I've heard reports of these as low as $0.65, so FREE after doubled coupon! Zazzle: 40% off Cards, Labels and Invites from 8-10 PM Central Tonight! Zazzle is offering Black Friday and Cyber Monday deals through Tuesday, 11/30! The offers change every 2 hours and the one I'm looking forward to starts at 8:00 Central Time tonight: 40% off cards! Here's the schedule through tonight and tomorrow. Head over here for details. Plus, use code FREESHIPFORU valid now through 12/31 to score FREE Shipping if your order totals $50 or more! 4:01:00 PM - 6:00:00 PM: 30% Christmas Ornaments! 6:01:00 PM - 8:00:00 PM 40% Off Labels, Cards, and Invites! 10:01:00 PM - 12:00:00 AM Monday's Favorite Deal Repeat: 50% Off All Posters and Prints! 12:00:00 AM - 2:00:00 AM: 50% Off Holiday Ornaments! 2:01:00 AM - 4:00:00 AM: 50% Off Magnets! 6:01:00 AM - 8:00:00 AM: $10 Off ALL Skateboards! 8:01:00 AM - 10:00:00 AM: 30% Off Sweatshirts and Jackets! 12:01:00 PM - 2:00:00 PM: 25% Off iPad and iPhone Cases! 2:01:00 PM - 4:00:00 PM: 12% Off All Products! 4:01:00 PM - 6:00:00 PM: 50% Off Keychains! 6:01:00 PM - 8:00:00 PM: $5 Off ALL Custom T-Shirts! 8:01:00 PM - 10:00:00 PM: Tuesday's Favorite Deal Repeat: 50% Off Holiday Ornaments! 10:01:00 PM - 12:00:00 AM: Tuesday's Favorite Deal Repeat: 12% Off All Products! Sunmart is now awarding Holiday Bucks! For every $25-$49.99 spent, get a $1 Holiday Buck (Catalina type coupon) to use on your next purchase. And, for every $100 or more spent, get $4 in Holiday Bucks! Final price: FREE - $0.49! Final price: as low as $1! Final price: FREE - $0.50! Cyber Monday: Free Shipping and More for Daily Deal Sites! Several Daily Deal sites are offering FREE Shipping and other deals today only! $11 for $32 of luxury candles from Eclipse Candle Co.
Swirl, a new Daily Deals site is offering FREE Shipping on any purchase (no minimum)! Jasmere is offering $5 off any order with code SF05287D40 through 12/1! Zulily is offering FREE Shipping on any $50 or more order through today. 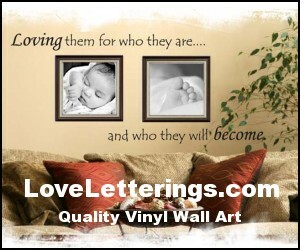 Love Letterings - Vinyl Wall Art for only $11! Love Letterings is offering several sweet deals that you can stack together today! Use code holiday to get one design FREE with each design you purchase! Use code Cybersavings to get an additional $6 off today only! And, use code freeship to score FREE shipping! 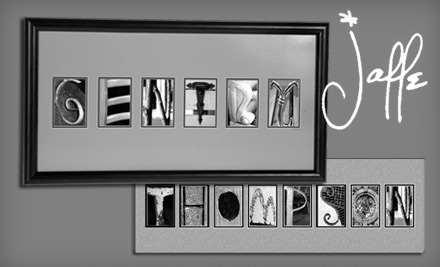 So head to Love Letterings, choose 2 designs and use all 3 codes above (these can be stacked) to get both vinyl wall art designs for only $22, only $11 each! What a great price! 48 Days Career Kit - $20 Today Only! 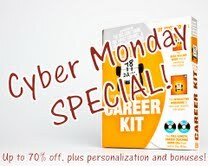 Dan Miller, author of 48 Days to the Work You Love, is offering a Cyber Monday deal on the 48 Days Career Kit today only! Gift wrap is included if you wish at no extra charge! These would make a great gift for anyone who is currently unemployed, someone looking to branch out on their own or anyone looking to move into a more fulfilling career. I have grown immensely as an entrepreneur by listening to Dan Miller speak. In fact, the early ideas for FM Cheapskate started in the early morning hours when I used to walk my Forum paper route listening to Dan's 48 Days podcast. It's no understatement to say that without Dan's encouragement and direction, FM Cheapskate would not be what it is today. So, head over to read more about the 48 Days Career Kit and purchase it today for only $20! If you'd like to purchase several, get an even better deal when you buy in lots of 4 for only $15 each! lia sophia Cyber Monday: Up to $10 off! Today only, over at lia sophia, get $5 off any order when you use this link. Even better, if your order exceeds $50, get $10 off! I adore lia sophia jewelry but don't often buy it because of the price, though the pieces I do have are very high quality jewelry. If you've had your eye on a piece or would like to buy one as a Christmas gift, this might be the time! Cyber Monday orders will get the December special. Buy 2 items at regular price, get up to 4 items half off. Plus, the half price items are your most expensive items! You can get a great deal today! The $5 and $10 discount won't show at checkout, but will be deducted manually BEFORE your card is charged. For more info, head over here. Tell Your Time E-book $6 Today only! I'm so excited to tell you about this deal! Tell Your Time, a new e-book by Amy Andrews is on sale through midnight tonight for only $6 when you use code MONDAYBLACK! I purchased this e-book about a month ago when it was first released and let me tell you. I read it in one sitting, and things haven't been the same since. I didn't have a great grasp on time management and I still have growth to do, but there are very simple concepts explained in this e-book that have changed my ideas about managing my time, and for the better! Tell Your Time, by Amy Andrews is absolutely a very practical read for anyone looking for more productivity in their time management. Can I say it again? 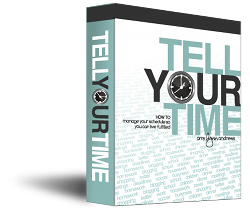 Read more about Tell Your Time, including preview and reviews here. Sale runs through tonight only! Amazon has some great Cyber Monday Deals going on today! There are "Lightning Deals" that will sell out right away. Also, you can sort by Electronics, Toys and Books, Fashion, etc to see deal on what you're interested in. More deals will be added throughout the day and it looks like many items are limited quantity. Plus if you haven't yet checked out Amazon's FREE Shipping Offers with Prime, get all the information here. Thanks to Krisanna for posting this over on the FM Cheapskate Facebook page! Free Shipping on Amazon with Amazon Prime Offers! Just in time for Cyber Monday shopping deals, here are a few ways to score FREE Shipping at Amazon! Amazon Prime offers FREE 2 day shipping on all eligible Amazon orders (anything with the little Prime logo under it). There is no minimum purchase as long as the item is Prime eligible! Sign up for a FREE 1 Month Trial of Amazon Prime. Anyone can sign up, and if you don't wish to pay $79 for a 1 year membership, just head to "My Account" then look for "Manage Prime Membership" where you can select whether or not you'd like the account to auto-renew. If you're a Mom, Dad or a caretaker of a child, you can get a FREE Year of Prime Shipping Benefits and more when you sign up for Amazon Mom! Don't be confused by the name, all caretakers of children qualify. 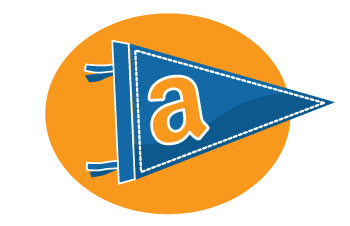 Or, if you're a student, you can get a FREE Year of Prime Shipping Benefits and more when you sign up for Amazon Student! This is the perfect time of year to take advantage of these FREE Shipping offers! Cyber Monday Bargain: Grocery University for $6! Carrie over at Springs Bargains has developed a course called Grocery University, which will be on sale for only $6 and up on Cyber Monday (originally $24.95)! I would highly recommend this course based on the reviews of others. This is the kind of information that will take your grocery savings to the next level. 2+ hours of audio, a 40 page workbook and a comprehensive Rock-Bottom Stock up Price List. Grocery University is recommended for beginners and those who have been couponing for years. I hope you'll benefit from what Carrie has put together. Head over to Grocery University to check out! If the times confuse you, just head over to the Grocery University site and the price will be reflected on the page! Groupon: $1 Credit + $25 for $50 at Coldwater Creek and More! Be one of the first 5000 to add code NEWSLICK to your Groupon account and get a FREE $1 credit to be used toward any Groupon! Go to "My Account" then "Redeem a Gift Card" then add the code NEWSLICK. Plus, get $50 at Coldwater Creek for only $25 today! Just head to Groupon, choose "Visit More Cities" at the top of the page, and choose Houston! Or, choose Minneapolis and look at the sidebar for Hal Jaffee Name Art. $60 for NameArt. These are really neat! 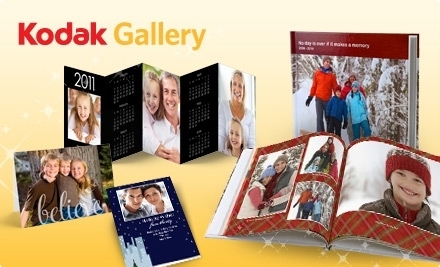 Or, choose Salem and look on the sidebar for $20 worth of Kodak Gallery Photo Books or Holiday Cards for only $10! Bonus: 4 FREE Accordian desk calendars! Build-A-Bear CyBear Monday: $7 Animals! It's CyBear Monday at Build-A-Bear! Your choice of any 7 animals for only $7 each! Limit 10, online only. Offer good only through 11/29. 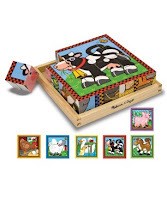 LilLuxe is a deal site dedicated to children's deals and right now you can a great deal on Melissa and Doug Children's Toys! 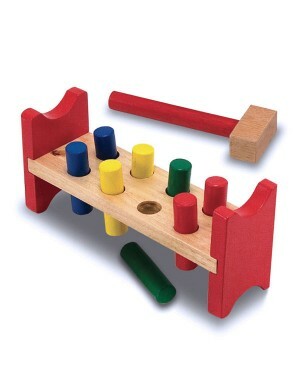 This wooden Pound-A-Peg toy is only $7.99, plus everything ships FREE until Christmas! The deal gets better if you "like" LilLuxe on Facebook and get a 20% off code! That brings this toy to only $6.32! And these Farm Cube toys are $9.99, or $7.99 with the 20% off code! Remember, everything ships FREE! 3 Pairs of BabyLegs for $10 Shipped! BabyLegs has a few sweet deals going on! Get 3 Pairs of BabyLegs for $10! Plus, they ship FREE! This is a great price on these leg warmers for little girls (and boys, too!) that make potty training, crawling and many other things a bit easier while keeping little legs warm! Thanks to The Krazy Coupon Lady! 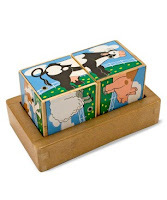 Over at Zulily today, I found a cute gift to share with you! If you have a little one or are looking for a gift for a little one, this might be a great idea! This breakfast "play food" set is $12.99, and shipping starts around $6. 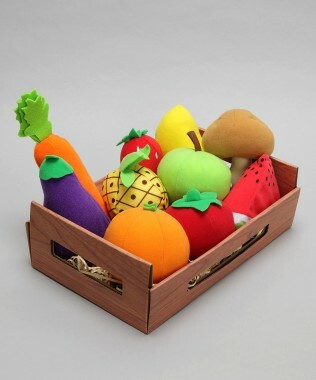 The fruit and veggie box is $14.99. Not the least expensive gift item out there, but it's a nice alternative to what's available at the big box stores. 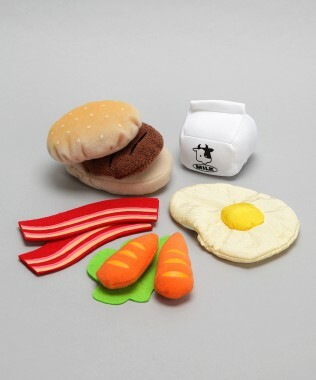 Plus, I can say that my 3 year old's kitchen toys are the most played with of all as she loves to "mimic" what my husband and I do in the kitchen! Head to Zulily then click on the "World Trump Kitchens" event to see these items and more. 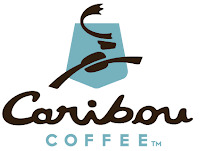 Caribou Coffee: $2 Spicy Mochas Mondays through 12/27! 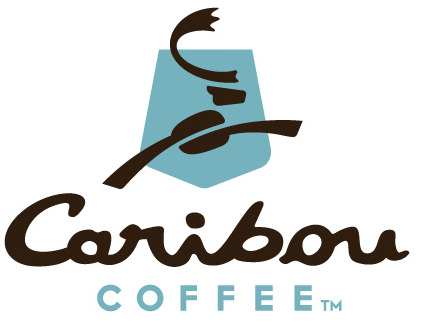 Caribou Coffee locations are offering the new Spicy Mocha for only $2 only on Mondays through 12/27! Here's the description: "First you taste the sweet cinnamon, then the smoky chipotle, and top it all off with an ancho pepper finish. Sweet is a treat but spice is nicer." Wow. Sounds intense! 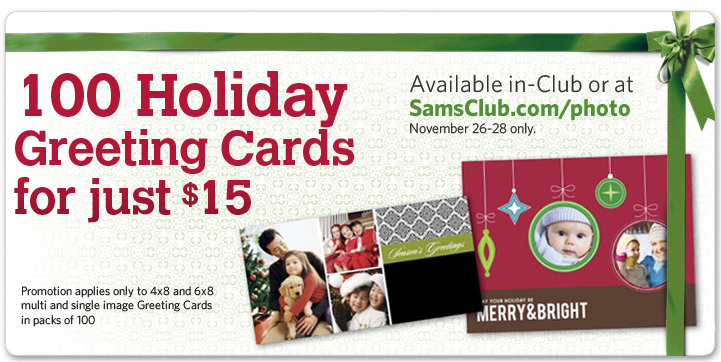 Through today only (11/28), you can order 100 Holiday Greeting cards for only $15 at Sam's Club! That makes them only $0.15 each! You must be a member of Sam's Club to place the order online. 80% off at Restaurant.com Today Only! Restaurant.com is offering 80% off through today, 11/28! Purchase gift certificates to participating restaurants at Restaurant.com (at a very steep discount!) and print them for use instantly! Read more here about how these gift certificates work. Today's deal over at Mamapedia is a FREE Seven Slings Baby Carrier! Shipping is not included and comes to $11.95. Still a great price in my book! Mamapedia is a 3-Day deal site and this deal ends tomorrow night! Head over to Mamapedia to check it out! I hope you've had a nice Thanksgiving holiday! There usually aren't coupons in the papers on holiday weekends, but according to the Sunday Coupon Preview, there should be a P&G insert this weekend. If the Star Tribune has it in today's (Saturday's) papers, save money and buy papers today at $0.75! Let us know if you find it in today's papers if you go out and about! Happy Thanksgiving! I've had a busy few days celebrating with family and friends, but am so thankful for you, my readers as well! Thanks for reading FM Cheapskate, thanks for commenting, emailing and saying hi when you see me at the store. Thanks to those of you that share with me how saving on your groceries has changed your budget for the better. Thanks for those of you that just have to tell me how much you saved at the store by shopping sales with coupons! I love to hear your stories! You are the reason I write FM Cheapskate. P.S. It's almost been one year that FM Cheapskate has been a reality. Look forward to some celebrating in the coming weeks! Woman Within: 20 Piece Picnic Set for $3.59 Shipped! 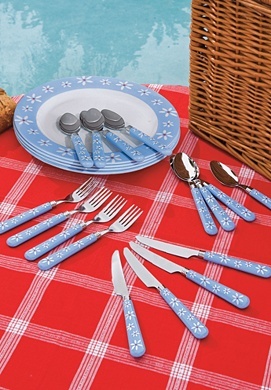 Right now, Woman Within has this cute 20 Piece Picnic Set for only $3.59 shipped! Add it to your cart at $3.99 and use code ww46998 to get an additional 10% off and FREE shipping! 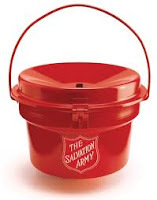 The 4th Annual Red Kettle Run will be taking place on Thanksgiving morning at 8 AM at Y West in Fargo. This run is to support the Salvation Army, and the entry fee is a donation of personal care items (toiletries, etc.) or a monetary donation to support those who need our help this holiday season. The run will be start and finish at the Scholssman YMCA West in Fargo. Choose your distance, from 3-8 miles. Head over here for more details! My Best Friend's Closet in Moorhead is giving out $10 gift cards to the first 20 people in the door! Store opens at 10 AM. Plus, everything in store is 20% off Friday and Saturday 11/26 and 11/27 and get an additional 10% off gift card purchases! More info over at My Best Friend's Closet's Facebook page. Eco Chi Boutique in Fargo is having a Green Friday Shopping Extravaganza on Friday morning starting at 8 AM. From 8-9, get 25% off your entire purchase, from 9-10 get 20% off and so on! There will be coffee, cider, treats and a visit from Santa at Noon! Plus, Mosaic Photography will be in store from 12-1 offering a 5x7 print for only $15! 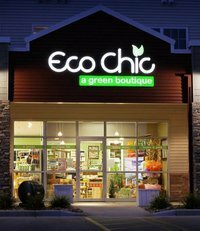 Kinder Kloset in Fargo is having a Green Friday Shopping Extravaganza on Friday morning starting at 10 AM. All clothing, including kids and maternity will be 20% off, plus many toys are marked down to $1! I love this neat idea for the coming Winter months, especially since I have a little one at home and getting to Storytime at the library isn't always an option. Barnes and Noble hosts an Online Storytime that your kids can watch and listen to anytime for FREE! There is a new story to hear each month. This month's Online Storytime is The Mitten by Jan Brett. Black Friday - It's Coming! Several of you have asked about Black Friday Deals. Like it or not, Black Friday is on it's way! There are several resources that are available for you to use to plan ahead for bargain shopping this week and weekend. If you're anticipating heading out bright and early (or late Thanksgiving night! ), be sure to use these resources to plan ahead. If you'd rather shop in your jammies, you're in luck! Lots of these deals are available online. Carrie over at Springs Bargains posted a great article today on Making a plan for Black Friday shopping. If you know of local deals that are happening in the Fargo Moorhead area, please comment or email me at fmcheapskate @ gmail.com (remove the spaces). Final price: up to $1.40 in overage! Plus, use the in-ad coupon for FREE Cash Wise bread when you buy 2 Skippy Peanut Butters! Final price: $1.40 for all 3 items! Plus, use the Cash Wise in-store coupon for a FREE Pepperidge Farm Stuffing when you buy 8 Campbell's products! Final price:as low as $0.88! Cash Wise has a "Turkey Insurance" coupon in the newspaper ad and available to print here. This coupon is NOT available in-store. If you find a lower price, bring the valid local ad to Cash Wise and they will not only match it, but beat it by $0.02/lb. Expires 11/27. Final price: $0.92 for 3, only $0.23 each! So, refer to last week's deals here. Final price: as low as $1.29! Final price: as low as $.39! And don't forget all the deals available last week! All of them plus the ongoing deals here! Let us know if you come across a deal that's no longer valid. Thanks! NDSU Students: FREE Playoff Football Tix to first 500! About an hour ago, NDSU Alumni on Facebook announced a football ticket giveaway for the first 500 students in the Memorial Union! 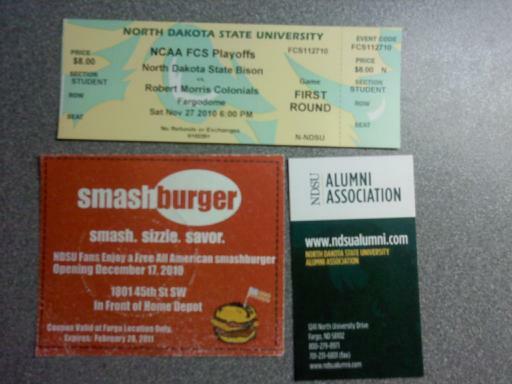 NDSU Students can pick up 1 ticket to this Saturday night's game against Robert Morris for FREE, compliments of the Alumni Association. They are located across from the bookstore in the Union NOW! Bonus: My husband (who is also a student) just picked his up and was also given a coupon for a FREE burger at smashburger, opening in Fargo in December! Yum!